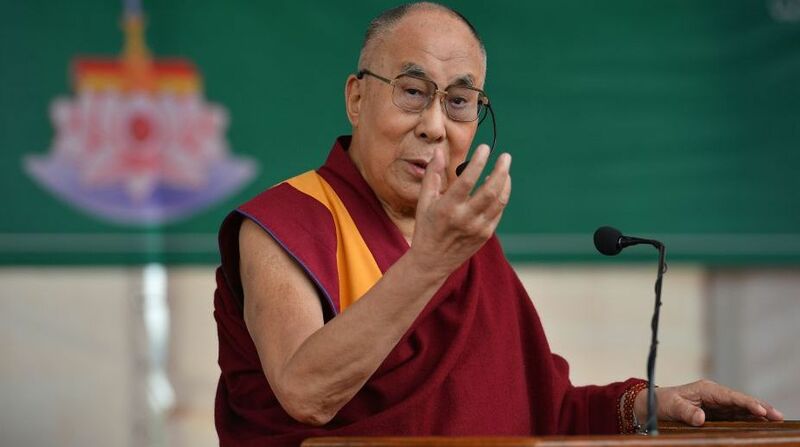 Tibetan spiritual leader Dalai Lama on Monday said Tibetans believed in the law of causality and the Tibetan problem was a consequence of old causes that had ripened. Talking to Australian audience in Sydney through video conferencing, Dalai Lama said according to Chinese history book, in 7th, 8th and 9th century, there were three major empires: the Chinese, Mongol and the Tibetan empire. In the 9th century, due to some quarrel among the Tibetan emperor, Tibet disintegrated. The problem started during that century. After that I think Tibetans paid attention to their own small circle, including the lamas, locals and landlords in different parts of Tibet, resulting in disintegration, he said. “History had produced that way. Old causes have already there, so there will be consequences. Nobody can change that,” Dalai Lama said. He said Tibet remained as one entity because of the Tibetan Buddhist tradition. “300 volumes of Buddhist texts translated from India and the language that covered the whole Tibetan area was what kept Tibetans as one entity. Otherwise in the political matter, for several centuries, we really neglected” he further stated. Talking about global conflicts and lack of moral consciousness in societies, the Nobel laureate pressed for the need for a more complete education system that caters to the overall well being of a human being. “Every 7 billion human being have every right to be a happy human being. Now the concern is the existing modern education. It is very much oriented towards material value. Therefore the generation who receive that kind of education eventually goes on to create materialist life and materialistic culture. When they are faced with mental level problems, they are helpless,” he said. Talking about mistakes in his life, he said ‘I think in political matter I feel there have been no major mistakes. At the age 16, I took the responsibility. Then Tibet’s situation was very difficult and delicate so the Regent asked me to take the responsibility. The previous Dalai Lama took the responsibility at the age of 18. I told him that 16 was too early but the circumstances forced me to take the responsibility. So I lost my own freedom. At 24, I lost my country, then there were a lot of problems. But I think, now looking back, during those difficult periods, no major mistakes. I think all my major decisions eventually seem very correct, he added. His Holiness mentioned an old Tibetan official who remained skeptical of His Holiness’ decision to flee Lhasa in 1959, but after the events of the Cultural Revolution, he concluded that the decision was correct.